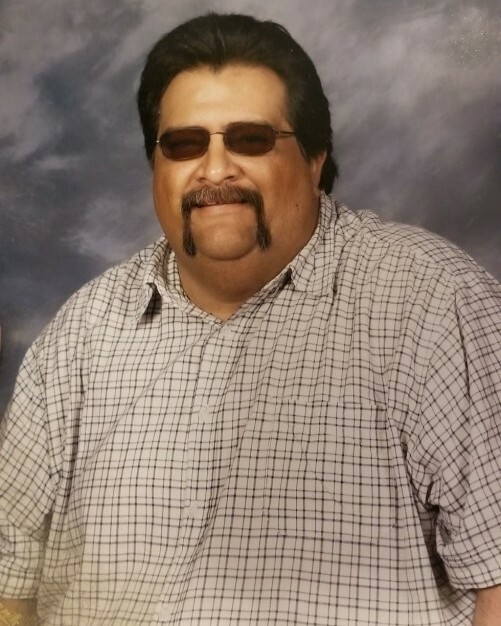 Eddie "The Kid" Nino, 53 entered eternal rest on Sunday, November 11, 2018 at Doctors Hospital at Renaissance in Edinburg. He was born on Friday, November 13, 1964 in Edinburg, Texas to Eleazar Yanez Nino and Maria Yolanda Rosales. Left to cherish his memories are his parents; Eleazar "Chale" (Maria) Nino, Sr., Maria Yolanda Nino, siblings; Eleazar "Curly" (Mari) Nino, Jr., Dina Denise Nino, Eleazar Carlos (Eliana) Nino, Priscilla Marie (Zam) Trejo, Audrey (Jaime Narro) Correa, Nilsa (Rene) Sanchez, Ronnie Roel Martinez, Cynthia Ruiz, Leticia Vento, Adan Salas, David Salas, Chocho Salas, and Ruben Salas, nieces; Geneva Quesada, Aissa Nino, Brittany Villanueva,2 numerous nieces and nephews. Eddie lived in Edinburg all of his life and worked at the Hidalgo County Sheriff Department for 14 years as a Detention officer. He enjoyed collecting baseball caps, antique cars and hot rods. He enjoyed watching sports, especially the Dallas Cowboys. He loved to drink his ice cold cokes. His greatest joy was spending time bar-b-quing with his family. He was the life of the party and lived life to the fullest. He will be missed by his family, friends and those whose lives he touched. His family will receive friends on Wednesday, November 14, 2018 from 3:00 PM - 9:00 PM with a Rosary to be prayed at 7:00 PM in the Chapel of Peace at Ceballos-Diaz Funeral Home, 322 East Kuhn Street in Edinburg. Christian services will be held on Thursday, November 15, 2018 at 10:00 AM at the First Lutheran Church, 302 South Sugar Road in Edinburg. Christian burial will follow to Hillcrest Memorial Park Cemetery, 1702 East Richardson Road in Edinburg. Having the distinguished honor to serve as pallbearers will be: Eleazar "Curly" Nino, Eleazar Carlos Nino, Arnold Cerda, Frank Cerda, Jaime Narro, and Hunter Ramirez. Funeral services have been entrusted to Johnny Garcia, Manager/Funeral Director and Staff of Ceballos-Diaz Funeral Home.